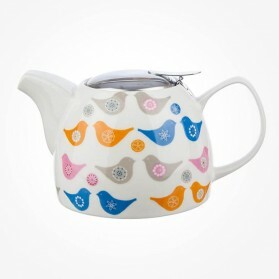 Unusual shape and design of Teapot 759ml. 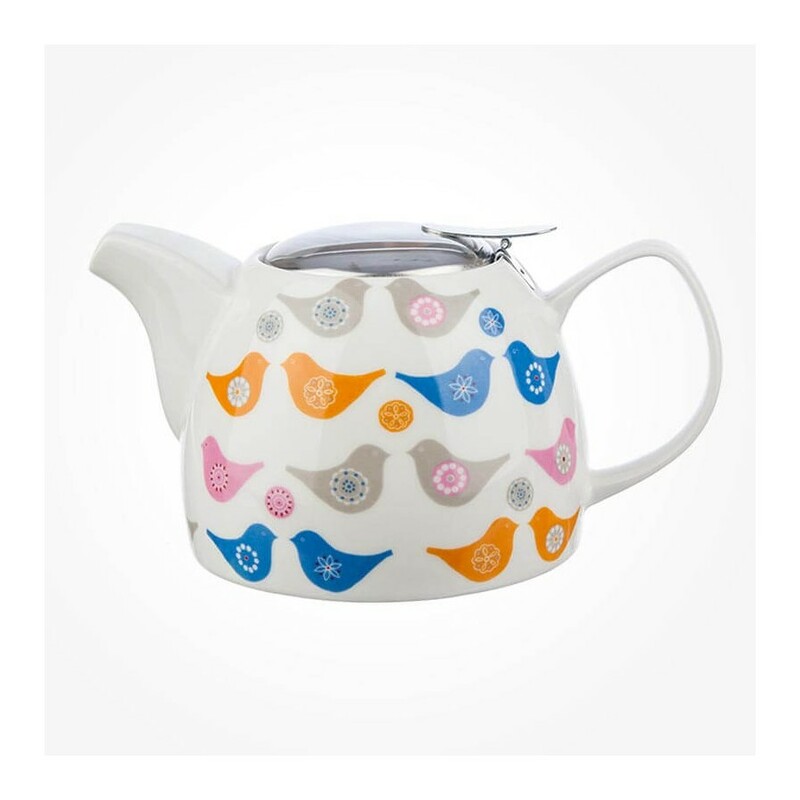 This gorgeous and Stylish teapot is made of high-quality Fine Porcelain with a removable strainer for loosed leaf tea and is useful for serving tea. 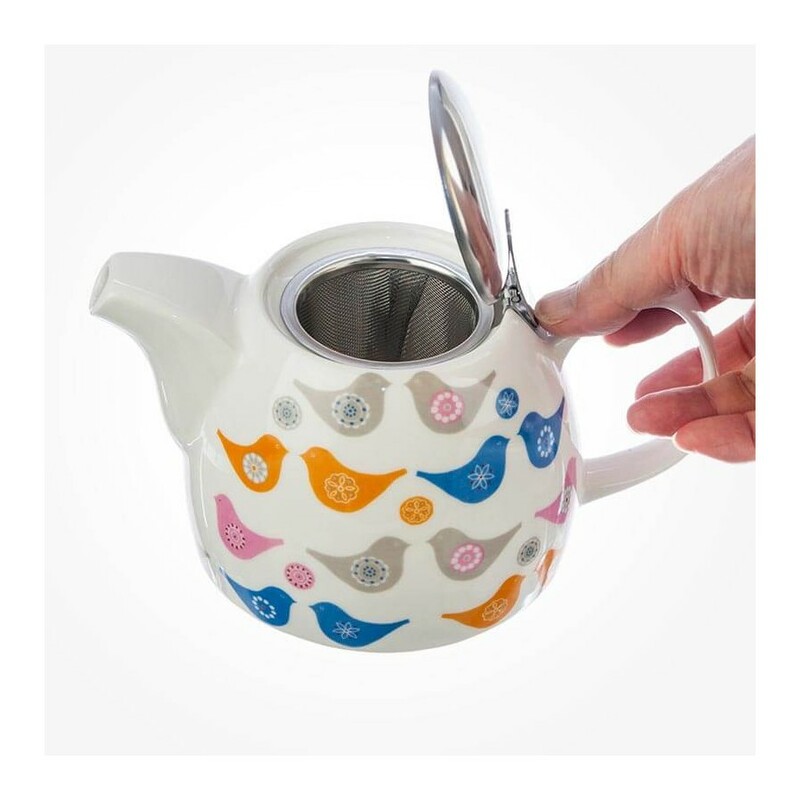 The Love Birds different pattern on a white background of porcelain brings you a contemporary image inspired by Scandinavian designs of the 1970’s with contrasting colours and new detailings.